This project consisted of the remodel of the existing main facility building, as well as an addition to consolidate all of their separated functions, and to allow for increases in productivity. The original building was completed in 2005. The existing 2 story building is approximately 120,00 square feet and the new addition added about 200,000 square feet of both assembly floor and warehouse as well as below grade storage and parking. 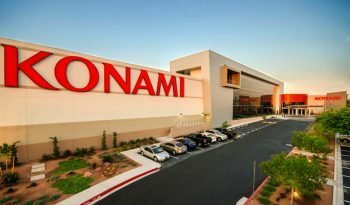 Coda Group was hired by Konami Gaming to coordinate the incentive programs that the project was eligible due to attaining a LEED Silver certification (by others). Coda Group assisted the project team with the documentation required for attaining incentives from NV Energy through the Surebet program as well as attaining a partial property tax abatement for five years through the Nevada Governor’s Office of Energy. The Architect of Record is Ethos Three and the Contractor is Martin Harris Construction.